The visit is the first by Pyongyang officials to the South since before left-leaning South Korean President Moon Jae-In, who advocates dialogue with the North, took office last May. 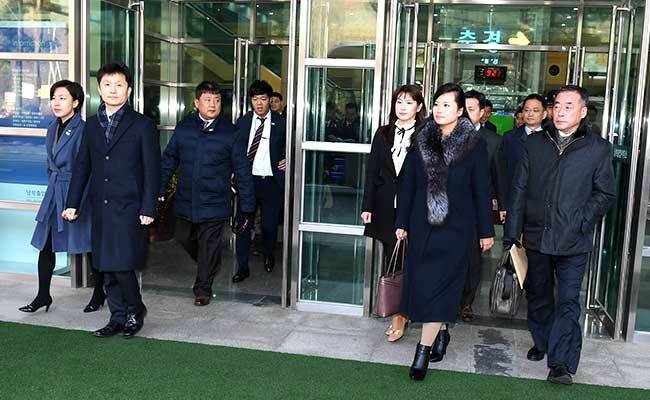 Seoul: North Korean delegates arrived in Seoul on Sunday on their way to inspect venues and prepare cultural performances for next month's Winter Olympics, in the first visit by Pyongyang officials to the South for four years. Television footage showed a group of seven officials led by Hyon Song-Wol, the leader of the North's popular Moranbong band, crossing the heavily-fortified border on a bus before arriving at Seoul train station about an hour later. 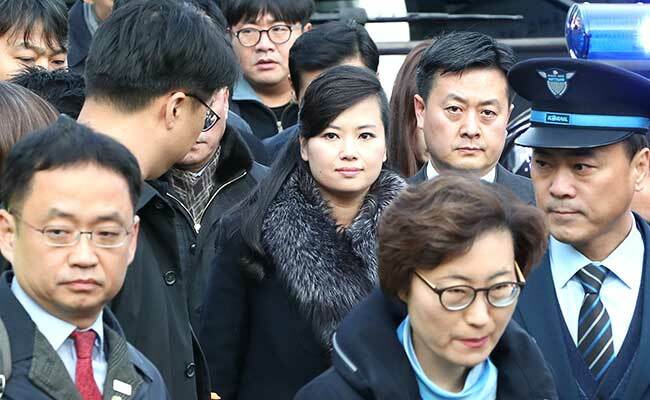 The stony-faced officials, surrounded by hundreds of Seoul police officers, were seen alighting from the bus before boarding a train bound for the eastern city of Gangneung, where one of the planned musical concerts is due to be held. Hyon wore a dark coat and fur muffler as she boarded the train without talking to throngs of journalists at the station. The trip comes two weeks after the neighbours agreed to send Pyongyang's athletes and artistic troupes to the Winter Games, due to begin in the South's alpine resort of Pyeongchang on February 9. The International Olympics Committee (IOC) on Saturday endorsed the deal, saying the North would send 22 athletes in sports ranging from figure skating to short-track speed skating. Seoul and organisers hope that the Games, which they have promoted as "Peace Olympics," could ease tensions on the peninsula that surged to new heights in recent months over the North's nuclear standoff with the US.